If you've ever heard him play, you know that Dariusz Terefenko is an extraordinarily brilliant pianist, recalling Art Tatum. Now we know he also has taste in other musicians. 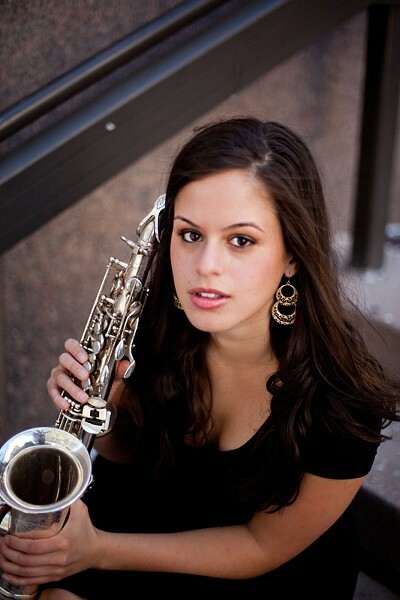 Terefenko, a professor at the Eastman School of Music, has decided to share the stage with recent Eastman graduate, saxophonist Alexa Tarantino. Tarantino has been a stand-out player in Eastman ensembles for years, but if you've heard her name recently it's because she played — and wowed the crowd — with Earth, Wind & Fire at the Xerox Rochester International Jazz Festival. At Kilbourn Hall, Terefenko and Tarantino will perform lesser known standards and original compositions. And that's just the beginning; after the concert they'll be recording an album together. Dariusz Terefenko and Alexa Tarantino perform Thursday, July 10, at Kilbourn Hall, 26 Gibbs Street. 7:30 p.m. $10 (free with UR ID). 274-1100.